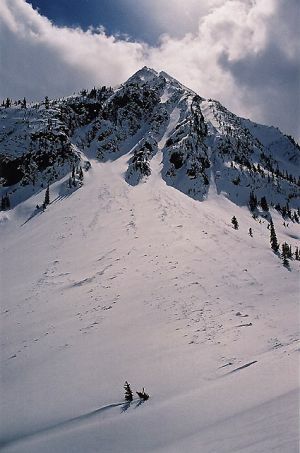 A sharp peak most easily reached via Balu Pass. The summit gives exceptional views of the Rogers Pass region. Routes have been done on virtually all sides and are predominantely on rock ranging from class 2 to 4.